Peter Dolbear, has spent a lifetime in the great outdoors observing and interpreting the sights and beauty all around him.These strong emotional feelings are being set down on paper in the form of unique works of art. 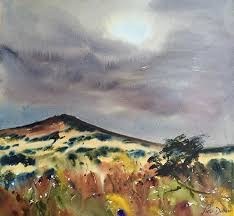 His watercolour paintings capture the vibrant colours, lighting and atmosphere of the open moorland which has become such an important part of his life. 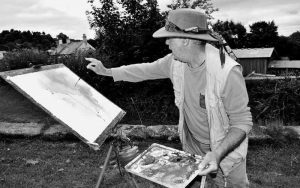 He works exclusively outdoors, painting throughout the year whatever the weather; paint has been known to freeze on the paper or be washed off in the rain as he works. 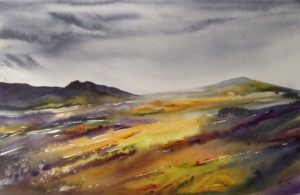 Peter prefers to use watercolour as his medium as he believes it offers spontaneity, atmosphere and spirit of time and place in his paintings. Currently living in Postbridge, on Dartmoor he takes in the changing seasons which bring constant renewal to the sights and sounds of this alluring landscape. 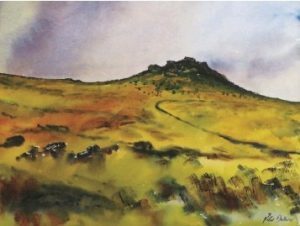 In turn, this is reflected in the spirited artwork he creates, resulting from his love and intimacy with Dartmoor and the surrounding area.